Nice chain I like it so much. 2nd purchase coz previous chain slightly faded after about half year of daily usage which is acceptable. The strap is packed nicely in a box. Goes well with my bag. Thanks! Very nicely packaged and it arrived quite fast. The strap looks so much more nicer than the original strap too. Received item in good condition thank you!! Hi dear seller what colour is this?I am looking for champagne gold..is this champagne gold? We only carry this design in gold colour. Do you have this in 20cm and 25cm? Hi for made-to-order chains, we can customise the length. For customisation to 20 or 25 cm length, there is additional cost of $4. So should you require customisation to either length, please select the 90 cm option and indicate the customisation requirements in the 'Memo to Seller'. Thank you. When will u restock the 40cm chain? Stocks will arrive this Wednesday. The 40cm chain is ready. You may now place your order. Hi, when will you restock gold 40cm? Stocks will arrive next Wednesday. Thank you! May I know when will the stock come for 40cm chain ? Hi, our stocks come on a weekly basis, so you can expect they will arrive next Thursday. We will notify you when they arrrive. Thank you! Dear seller, there's another gold chain strap sold by you, may I know the difference? Hi I guess you are referring to the 9mm width chain, which is for medium sized bags. The 7mm width chain is more suitable for smaller bags. Hi, I understand u may hv replied my inquiries on how to make the exchange. 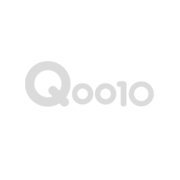 But qoo10 app is not intuitive, I am unable to retrieve the message u replied. Can you kindly reply to me again? Thanks for your kind understanding. When I accept your exchange, there will be a fee of $10.